Obituary for Beatrice M. Wilson | Rhoney Funeral Home, Inc.
Beatrice M. Wilson of Niagara falls, NY passed away April 9, 2019. 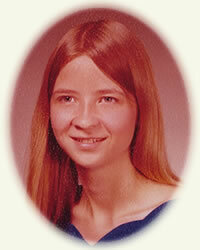 She was born in Niagara Falls, NY on June 24, 1957, the daughter of Elizabeth Maggard. Beatrice was employed at Smokin Joes. She enjoyed her dogs, playing bingo, tending her garden and spending time with her family. Besides her mother, Beatrice is survived by her husband Robert Wilson,Sr., sons Timothy G. Mort, Shawn R. (Jojo) Wilson, Brian W. Wilson and Robert Wilson, Jr., nine grandchildren, sister-in-law Belinda R. Wilson, Uncle Robert L. Patterson, Aunt Marlene M. Harold, and several nieces and nephews.